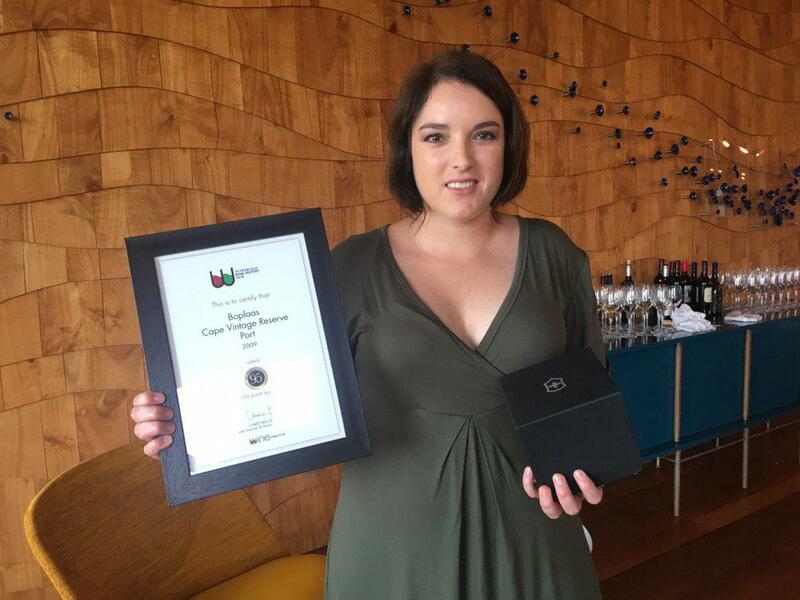 Port by South African champion producer Boplaas Family Vineyards outpaced some of the country’s most eminent wines with its crowning this week as Best Overall in a special report by Wine magazine on 10-year matured wines. Underlining Boplaas’s achievement was that vintage under assessment this year is arguably South Africa’s greatest in modern history. Boplaas Cape Vintage Reserve Port 2009 scored 95 points and was trailed by wines including Rustenberg Peter Barlow, Tokara Director’s Reserve and Raats. Boplaas’s achievement re-affirms its reputation. The Calitzdorp farm has a long history of producing excellent wines from Portuguese varieties and ports, thanks to ideal terroir and years of expertise. The Wine magazine rating again highlights how the name Boplaas remains synonymous with the crafting of benchmark, authentic and age-worthy Cape Port-styled wines. It’s a remarkable feat for any winemaker, and especially for Carel Nel whose journey with port began with the discovery that Tinta Barocca had been planted on the farm instead of Shiraz. His father Danie had ordered the vines from a nursery and planted them 10 years earlier, but it was Carel – fresh from his studies – that discovered the mistake. Spotting an opportunity to learn more, his first trip to Portugal followed. That was the 1970s and the trip was followed by many others. Over the years Carel became friends with port-makers of note, among them the Symingtons, Guimaraens and Niepoort families, who shared their knowledge and experience with him. The vintage was crafted from hand-harvested Touriga Nacional, Tinta Barocca and Souzao. The fruit was vinified to a drier style in open-top fermenters or Portuguese lagarsand matured in large-format French oak barrels. In the glass, inky blackness is highlighted by hints of fiery garnet. The bouquet is crushed blackberry, tart cranberry, kirsch and purple plums with bright top notes of savoury allspice and fynbos. The palate is bold, reminiscent of liquorice and red fruits with a hint of cacao. The finish is long and dry. Soon after it was made, Carel Nel noted in his own report: “This port can easily age another 40 years”. His own assessment is now supported by Wine magazine’s own panel, which set out to analyze age-ability of South African wines. Its review this year saw 92 wines entered by 44 producers. As the producer of the highest scoring wine overall, Bopaas eceived a Victorinox Swiss Army INOX Carbon Men’s Watch worth approximately R15 000 from retailer Luxury Time. The winning wine is still available for sale – in very limited quantity only and exclusively from the cellar door in Calitzdorp at R750 per bottle.